1 high-ranking artist from each month will be selected by Noise Pop event staff from the Noise Pop 2008 Channel on OurStage. All high-ranking artists from the November, December and January competitions are eligible. 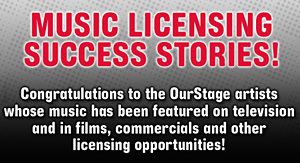 Prizes will be awarded according to the OurStage monthly competition terms and conditions; No additional expenses covered.